This post accompanies a project that I have been working on with my friend Cam Watt. He created a silk screening kit that can be downloaded and printed on a 3D printer. The whole project can be found over at Youmagine. 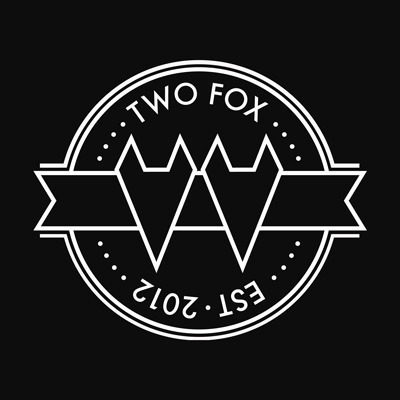 I spent a week or so trying to convert our logo to a 3D printable file for this project. Each method had quirks. And most of them mostly worked in their own way. Then I found a script written by Dr. Hank Dietz. In his post he lists a number of different methods and their drawbacks. It's a good read if you're looking for a few more ways to tackle this particular challenge. If command line is something that you're not comfortable with you should stop reading shortly. But check out Inkscape. 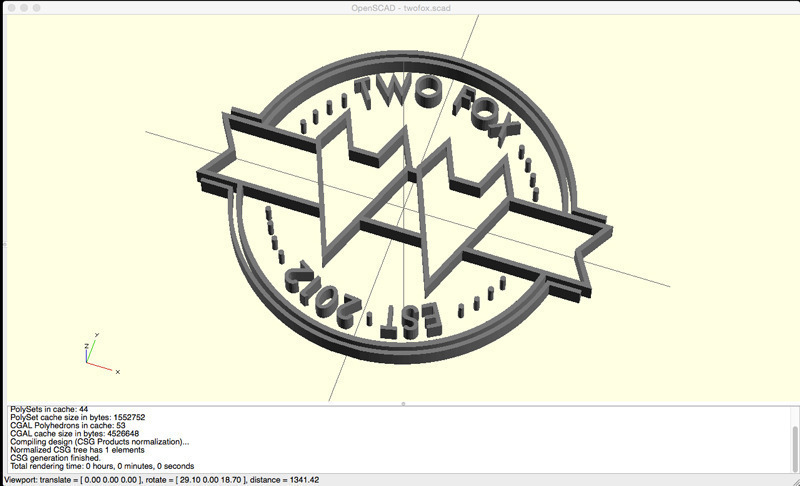 There is an extension that converts a vector image to a 3D model. I had a bit of luck with this, but one thing to note is that your shapes have to be fills and not strokes. It will not be able to trace a printable shape out of a single vector. Trace2SCAD is a shell script that uses sed, awk, ImageMagick, convert, mkbitmap, and potrace. Once I installed all the required dependencies it worked like a charm. As long as it doesn't say '... not found' you should be good to move on. Remember when installing imagemagick used to be an afternoon of headaches? Now there is Homebrew. You can find everything you need to get started on their website. To install potrace you'll need the source file that works on your system. This can then be installed using the usual configure/make commands. This will also install mkbitmap. Two for one! Click here for step by step instructions for installing potrace. During this process I also discovered I needed to install ghostscript. This is also a configure/make installation process. Download the source and follow these installation instructions. If you've gotten this far with your setup you are probably familiar enough with your environment to know where to find this. 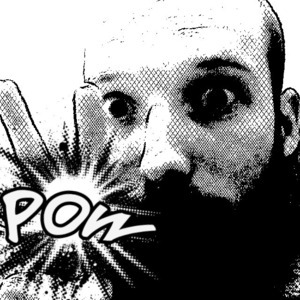 I use zsh and my PATH is defined in ~/.zshrc. If you're using bash you can also check ~/.profile or ~/.bash_profile. Just add the path to your script folder in your PATH somewhere. Make sure each path is separated by a colon. There are a few things that I've discovered that you will need to know about the image file. OpenSCAD doesn't like some characters in the model name. To avoid syntax errors keep your file name simple without special characters or spaces. 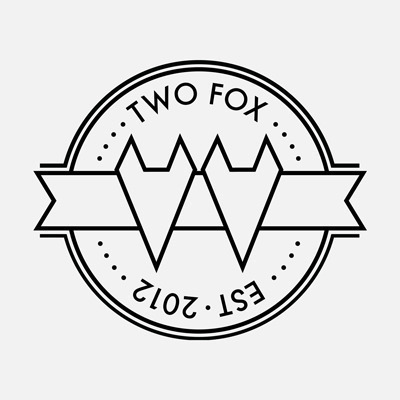 Something like twofox.png will work while two-fox.png will not. This is because the value of 'prefix' (in the script) will include every character in the file name. You should also cd into the folder where your image is. If you run the script from further up the file structure you'll get the same syntax error as above. This is because the prefix will include each '/' in the file tree. The last thing is about the image itself. I tried to convert a transparent PNG a few times. I doesn't work. The image needs a solid background. If you want a nice clean line a high contrast image will work best. Remember, if you are using this for silk screening you'll probably need an inverse of your actual graphic. And if you were going to try and make a stamp, you'll have to reverse the image so that the text is legible. There are a lot of options available, but above is all you probably need. The -f (--filter) set to 0 will keep solid area solid. If you're looking for a different effect, check out Dr. Dietz' post for all the options. There are a few things you need to render your shape. The script creates a model that is 1mm x 1mm x 1mm. This is clearly too small for anything useful so you'll have to bump that up for your needs. At the bottom of your new SCAD file you'll find the module that will render your file. Huge shout out to Dr. Hank Dietz for publishing this script literally 10 days before I needed something just like it. And of course to Cam who an endless catalyst for all these crazy ideas. Jamie calls Hamilton, Ontario home. He spends his weekdays working for factor[e] design initiative making the internet a little more user friendly and the rest of his time with his special lady friend. He enjoys long walks on the beach and organizing things neatly.